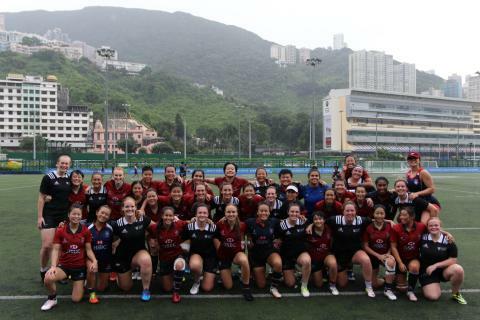 Northumbria Women’s Rugby 1st team spent 10 days in China and Hong Kong, competing in the fourth annual 2018 China-UK University Sport Week, completing their trip with a training camp over two days with the Hong Kong National Women’s team. The Sport Week, organised by the Federation of University Sports of China (FUSC), took place at Northwestern Polytechnic University, Xi’an, in China, and was aimed at promoting global sporting links. “We are the only UK University this year to be offered both the opportunity to participate in the UK-China universities Sports Week in Xi’an and to receive a delegation of players and staff from China. 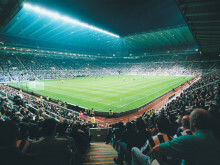 Northumbria was selected to take part in the Sport Week due to its strength in rugby union, specifically for the University’s reputation in supporting women’s sport. 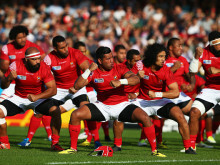 The FUSC contributed much of the cost of the rugby players' accommodation, transport and activities. As well as training alongside the Chinese players, the students also got to enjoy their trip off the pitch with guided tours and cultural activities around the region. Skye Jackson, Northumbria Women’s Rugby 1st team Captain, said: “As far as preseason trips go, it couldn't have been more beneficial to the team; bonding between the new and old players, playing in extreme weather conditions and being coached at an international level. The girls are still overwhelmed from this once in a lifetime opportunity and can't thank Northumbria University enough for making the trip possible."